 No County Show would be complete without a number of key elements; committees, volunteers, competitors, trade stands and sponsors. This year we welcome a number of new businesses and organisations who have seen the wonderful opportunities available as a 2016 sponsor. Hyde New Homes in association with Westerhill Homes will be sponsoring our trade signage with 12 new sail banners for visitors to clearly define the retail areas. Chartway Group, based Coxheath, Maidstone have also organised the sponsorship and will be having tradestand space. Hyde New Homes is the development arm of the award-winning Hyde Group, one of England’s leading developers of homes for all needs and incomes, operating in London, the south east and east of England and the East Midlands and providing homes with a variety of tenures. Kent-based Westerhill Homes are using their local expertise and knowledge to establish desirable new developments in sought after locations across Kent and the south east. Current developments include Millside, East Malling, Kingfisher at River View, Aylesford and Heron Fields at Great Easthall, Sittingbourne (in partnership with Hyde New Homes). Belmont Estate, based in Faversham will be sponsoring our new woodland ring and will also be having a tradestand in the woodlands under the name Woodfest, which is an event that takes place at the House and Gardens in September. Full details of the Woodland Ring itinerary can be found on our ‘Plan Your Day’ tool. Savills UK & Brachers Solicitors will be jointly sponsoring the President’s Luncheon where the guest of honor will be HRH Duke of Kent, Patron of the Kent County Agricultural Society and a loyal supporter of the Show since he became Patron in 1975. This year The Kent County Show has set up new sponsorship packages to allow companies to sponsor the wonderful young farmers classes, this year a number of companies have come forward to take advantage of this new sponsorship opportunity. In addition to the Young Farmers area the main livestock lines have a number of organisations and businesses supporting competition classes including Strawberry Fayre, SA Rural Services, Kreston Reeves, Fgsagri, Gallagher and Putlands. Our principal sponsor for 2016 is Hadlow College, part of the Hadlow Group who will be supporting many of the classes in the Livestock area and other areas across the Show. As Hadlow Group they will be having a number of stands including Hadlow College, West Kent & Ashford Colleges and Betteshanger Parks. The stands will all have a countryside and sustainability theme, with a host of exciting stands and interactive activities on offer. The hugely popular Equine Area has a huge number of competitions some of which are qualifiers for the Horse of the Year Show later in the year. Thanks go to Osborne Refrigerators Ltd, Ace Communications, LH Woodhouse and Quality Solicitors Martin Tolhurst. The Kent Agricultural Society, organisers of the Kent County Show are also grateful to the following businesses for their contribution to the 2016 Show; Geerings of Ashford for the Trade Stand Awards, Four Jays Group for the Tradestand Brochure, Dogs Trust for the Dog Creche during the Show and Sita UK are one of our banner sponsors. For details of all our 2016 Sponsors please visit our Sponsors 2016 page on the website.